From Wikipedia, the free encyclopedia. 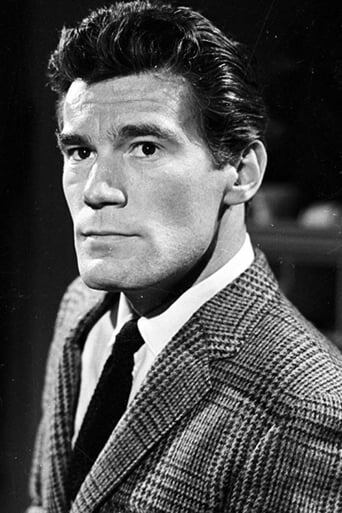 Mitchell Ryan (born January 11, 1934) is an American actor most recently known for playing Edward Montgomery (Greg's father) on the sitcom Dharma & Greg. He also worked with his on-screen wife from Dharma & Greg, Susan Sullivan, in the short-lived series Julie Farr, M.D.. Ryan was born in Cincinnati, Ohio and raised in Louisville, Kentucky. He served in the U.S. Navy during the Korean War. After the Korean War, he went to the Barter Theatre in Abingdon, Virginia. There he went on to make his acting debut in Thunder Road along with the Theatre's founder Robert Porterfield. Ryan was an original cast member on the cult TV soap Dark Shadows, playing Burke Devlin until he was fired from the show in June 1967 due to his alcoholism, and replaced by Anthony George. His other acting credits include Halloween: The Curse of Michael Myers, Liar, Liar, Magnum Force (Dirty Harry's ill-fated despondent best friend and fellow traffic cop Charlie McCoy), Lethal Weapon (as the key villain, The General), Grosse Pointe Blank, Electra Glide in Blue, and Hot Shots! Part Deux (as senator Grey Edwards). In 1973, he played the lead in the NBC adventure show Chase, with co-stars Wayne Maunder and Reid Smith. In 1980, Ryan played wagonmaster Cooper Hawkins in the CBS western miniseries The Chisholms, taking a wagon train of pioneers to California during the 1840s, and becoming the de facto head of the Chisholm family after the death of patriarch Hadley Chisholm. Ryan appeared in NBC's The A-Team episode "Waste 'Em". He appeared as the father of Commander William Riker in the Star Trek: The Next Generation episode "The Icarus Factor". (Ryan had earlier been considered for the part of series lead Captain Jean-Luc Picard.) He played a police officer in a 1993 episode of NYPD Blue. His Broadway theatre credits include Wait Until Dark, Medea, and The Price. Ryan has been married and divorced twice and is the father of three children. Description above from the Wikipedia article Mitchell Ryan, licensed under CC-BY-SA, full list of contributors on Wikipedia. Jan 11, 1928	in Cincinnati, Ohio, U.S.